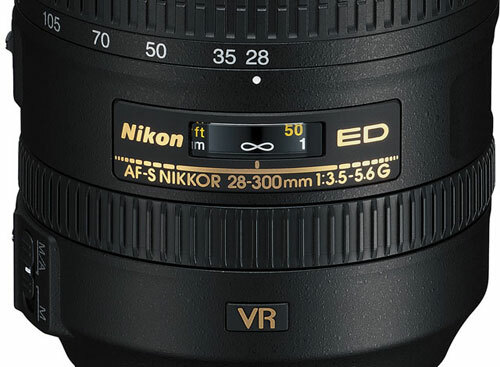 DSLR Lens Anatomy and Lens Settings are less frequently discussed than the settings of the DSLR body. Settings of Lens is quite important optical factor. After searching in Google Web Search (and carefully avoid the Wikipedia spams) it appeared that most of the photography blog Authors either never actually handled a DSLR or never changed the settings on the barrel of the Lens. Knowing a DSLR Lens Anatomy is quite important and most important is the Lens Settings. Because it is an optical part, if the settings is not right, how it will work fine ? Full Auto might not be applicable in all cases. As a long term SLR and DSLR owner, still I fight to understand the DSLR Lens Anatomy and sometimes finding the right Lens Settings becomes a challenge. Moreover there is aspherical lens. Canon has L lens. It is obvious that all there Lens will have at least some things like knobs, switches, buttons. That is what usually do not write about. Even if you do not have a DSLR, it will be obvious to you by carefully noticing a photograph of a lens, that definitely these had to be written by many. This is the reason I started in that way – the logic are obvious. Obviously various glass lens, screws etc. Lens can be dangerously complicated and delicate part. SLR lens is designed in a way so that we can change them. It is not that, a lens is shock proof. It only becomes stable after mounting on the body of the camera. Lens usually shipped with a booklet, that explains the parts. Obviously the booklet is not a guide to Photography. So understanding the needed settings are quite important. Obviously, if you rotate the ring, the focal length will change, thereby you can do the manual focus. With advent of cheaper DSLR, a segment of snapshot photographers are now happily buying DSLR with APS-C sized sensor. So many rings, buttons etc. are not made to make the camera lens dazzling gizmo. They has functions. For example, if you mount a 35mm Lens (somehow) on a APS-C sized sensor equipped DSLR, a definite change is needed to avoid the distortion at the edges. Otherwise the crop factor will add up in this funny settings. It is common thing to observe today, a new EOS 600D owner is trying to focus manually like an expert. But the the rotation with fingers is not ending. We traditionally has been taught to measure the length visually first, rotate the lens to approximate focal length, then view through the viewfinder and fine tune it. This article gives you an idea of the existent things. Actually you will need to search in usually paid photography forums for the particular lens model specific fine tuning. In our SLR days, we had less money to spend on Films. Almost all played with the lens focusing on the wall. It is like car driving simulator used nowadays. These ‘easy ways’ actually destroying the needed hard work to learn. Within few days now people buys another lens being a newbie. Obviously, the manufacturers will give enough push in various ways to sell another lens – various paid writings, magazines, adverts. This Article Has Been Shared 8542 Times! Cite this article as: Abhishek Ghosh, "DSLR Lens Anatomy and Lens Settings," in The Customize Windows, April 11, 2013, April 23, 2019, https://thecustomizewindows.com/2013/04/dslr-lens-anatomy-and-lens-settings/.